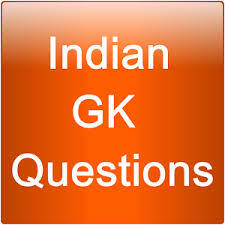 General Knowledge questions on Indian GK for Bank PO, IBPS, Bank Clerical And Indian GK For RRB Assistant Loco Pilot Group D 01-03-2018 questions for bank exams, very important computer-related questions for Bank PO, SBI PO, IBPS,RAS, IAS, UPSC, RPSC, 1st, 2nd, 3rd Grade Teacher, REET CTET, LDC, SSC CGL, IBPS, MBA, CAT, MAT, SBI-PO, RBI And Railway, Indian Army And all competitive Exams, and Most expected Computer Question Papers with answers. These Questions are most commonly asked in Other Banking Exam And All subject Wise Notes and Math, Hindi, English, History, Political Science, Psychology, Sanskrit Related Study material. Railway group d material notes, Railway Technician, Railway loco pilot, RRB Assistant Loco Pilot subject Wise Notes and Math, Reasoning, GK, Hindi, English, History, Political Science, Psychology, Sanskrit Related Study material. RPSC, 1st, 2nd, 3rd Grade Teacher And Rajasthan police Related Study material. Question (1) When was life insurance been national? जीवन बीमा को राष्ट्रीय कब किया गया? Question (2). Who discovered the electronics? इलेक्ट्रोनस की खोज किसने की थी? Question (3) what name is the Western Ghats of Maharashtra known? महाराष्ट्र के पश्चिमी घाट किस नाम से जाने जाते हैं? Question (4) Who made the Taj Mahal? Question (5) What is the full form of S.T.D? एस. टी. डी. (STD )की फुल फोर्म क्या है? Question (6) Which day is celebrated Youth Day? युवा दिवस किस दिन मनाया जाता है? Question (7) Which game is associated with Mary Kom? मैरी कॉम का सम्बंध किस खेल से है? Question (8) India is the first base of which village? भारत का सबसे पहला आधार विलेज़ कौन सा है? Question (9) Who is the author of the book “Midnight Children”? किताब “मिडनाइट चिल्ड्रन” के लेखक कौन हैं? Question (10) Who had searched for the logarithm table? लोगरिथ्म टेबल की खोज किसने की थी?